Innovative Ductal® Brise-Soleil for an Innovative Brand. 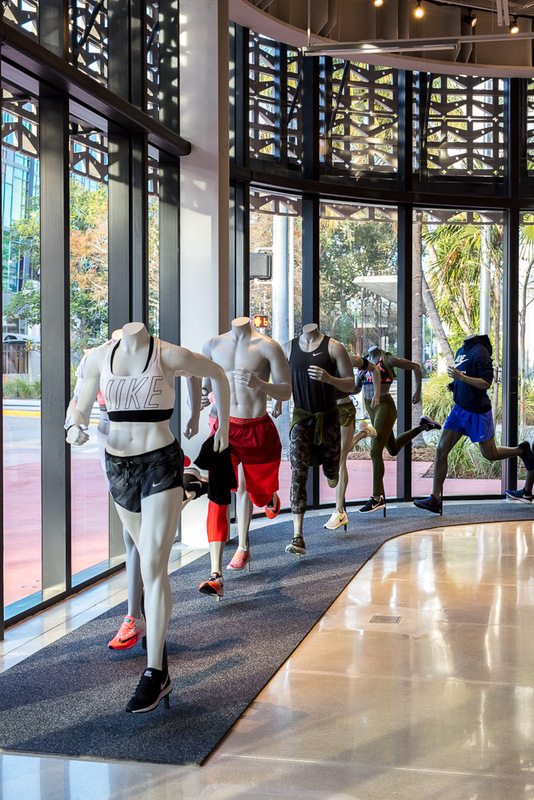 Nike creates performance products for athletes who love them around the globe. Its retail environments are designed with the same vision. 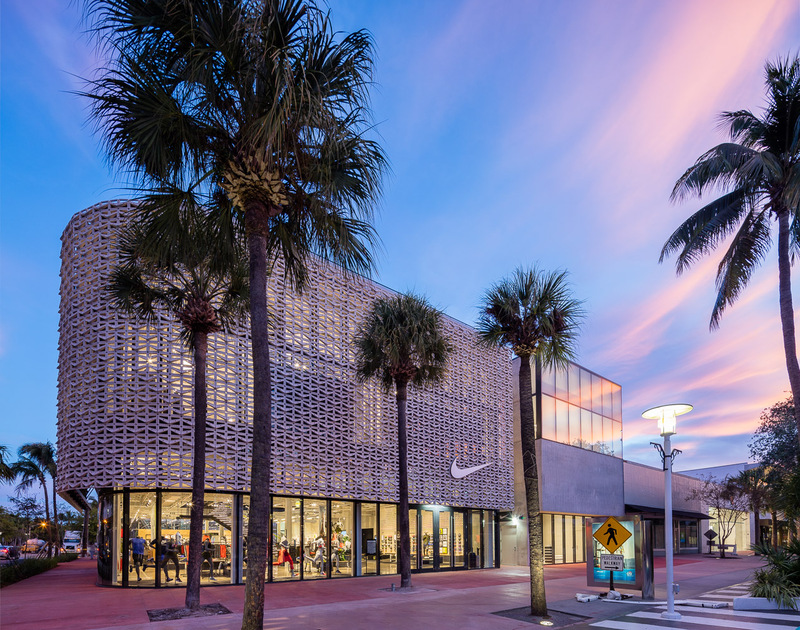 For design of the building’s core and shell, Nike’s Retail Design Team partnered with Touzet Studio, a Miami-based architecture firm, because of their creativity and regional expertise. Together, the collaborative design team focused on innovation, architectural integration with the local culture, its materiality and interior consumer experiences. Located in Miami Beach, the two-storey, 31,000+ square-foot “retail experience” is impressive. 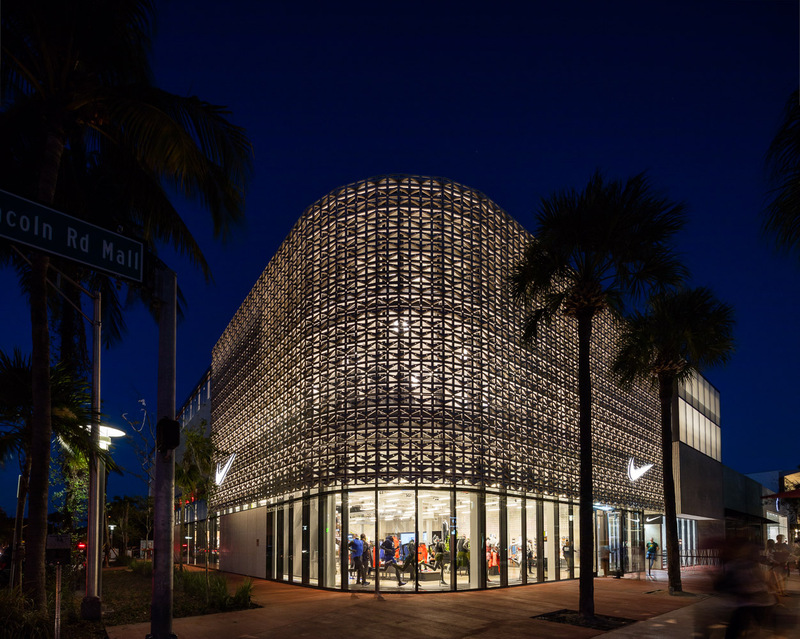 Its south and west facades are wrapped by a unique brise-soleil made with 180 Ductal® perforated panels, designed to incorporate classic Nike patterns. The result is an intricate casting that allows light to filter through to the interior while providing shade outside, creating a distinctive synergy with the surrounding promenade. 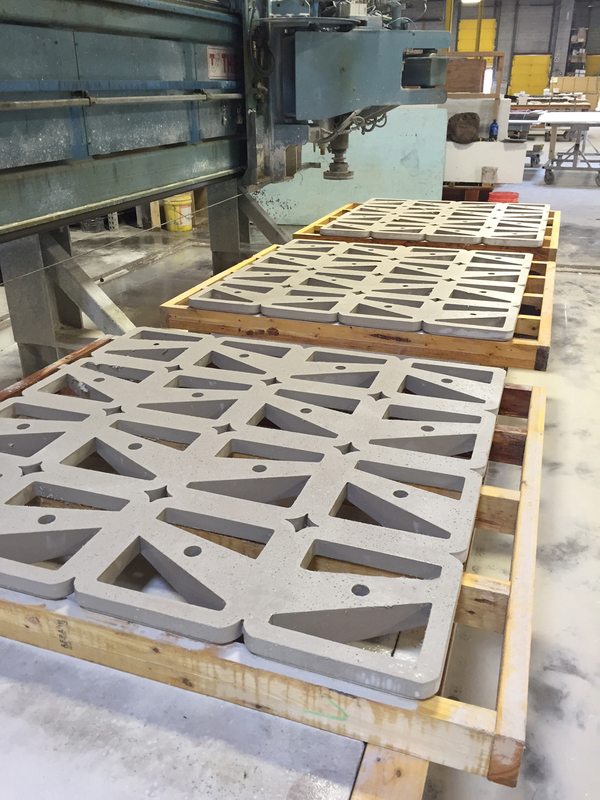 Selection of materials was an important part of the design process and, since concrete is one of the most common building materials used in South Florida and sub-tropical commercial projects, the design teams explored the various applications and finishes. As a result, the most innovative and visible use of concrete is the store’s brise-soleil, which not only met requirements for shading and visibility; it provided opportunity to embed pieces of the company’s product innovation and heritage into the pattern of the façade. From a global brand integrating with a local building culture to the exploration of new ways of expressing retail function through architectural form, to creative use of materials and experiences which make up the consumer’s experience, this project proves how innovation can play a key role in the future of brick and mortar retail. Plus - in an area frequently exposed to extreme heat and tropical storms, the Ductal® façade will withstand harsh conditions for years to come. The fact that Ductal® allowed us to perforate the screen so much means that Nike was able to achieve maximum visibility as well as shading from this feature. How did you persuade your client to design the brise-soleil using Ductal®? We introduced the idea of a Ductal® brise soleil for several reasons to Nike. Previously, some of their Retail façade screens were done in metal and in darker colors. For Miami, we felt that Ductal® was a more suitable and longer-lasting material. The light color brise-soleil was also a reference used in the Sarasota School and MiMo (Miami Modernist) architecture of 50’s Miami Beach – so we also liked the cultural and historical connection to concrete as a subtropical building material. Finally, Nike loved the high performance aspect of the perforated Ductal® screen. We worked together, to transform their signature pattern into a material that could be cast in concrete. What makes this project so innovative? 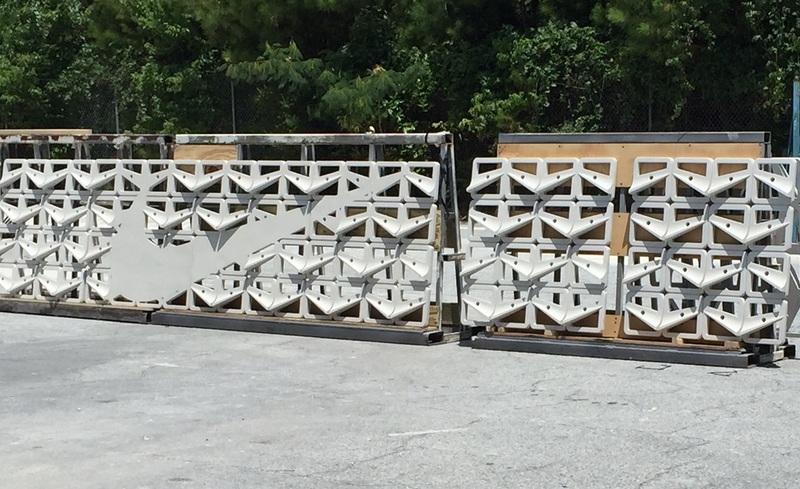 To our knowledge, it is one of very few, heavily perforated high-performance concrete brise-soleils. The beauty of this is that it allows for incredible shadow play inside from the pattern. 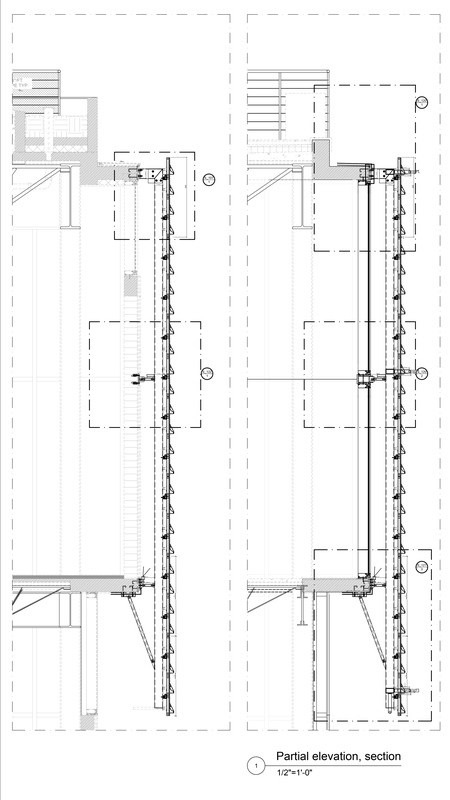 We modeled the building with actual sun and shadow studies to carefully place and size the brise-soleil screen so that it would perform and block the most sun. The screen is actually providing an important shading function to the building at a corner where visibility is also important. The fact that Ductal® allowed us to perforate the screen so much means that Nike was able to achieve maximum visibility as well as shading from this feature. The primary challenge was creating a skin with Nike’s pattern that could be cast in concrete and attached to an all glass façade. It took many months of study to get the geometry and technical challenges resolved. For production of the perforated panels, the precaster (DEX Industries) used techniques typical of those employed for bronze casting. The use of 3D printing and Climate Modeling technology was critical for this project’s design process; used during preliminary studies, as well as for production of the final mold for fabrication. 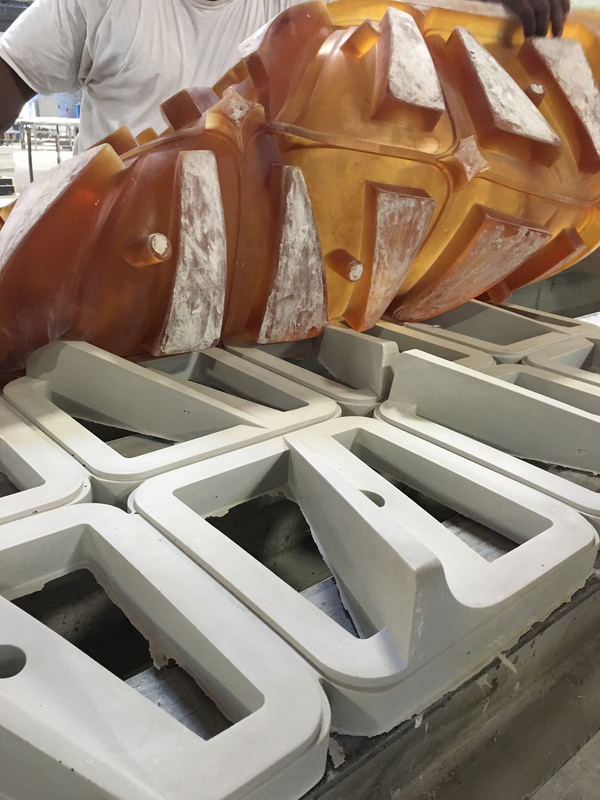 The molds for the Nike “Swoosh” logo were produced through a complex process called “lost wax capture”, while the other molds were produced by creating a positive on the CNC machine and then casting the reverse in the rubber. The Ductal® brise-soleil met requirements for innovative design, aesthetics, durability and energy efficiency. Thanks to its combination of superior properties, it was possible to produce thin, lightweight, perforated panels with high durability and provided opportunity to embed pieces of the owner’s product innovation and heritage into the pattern of the façade.